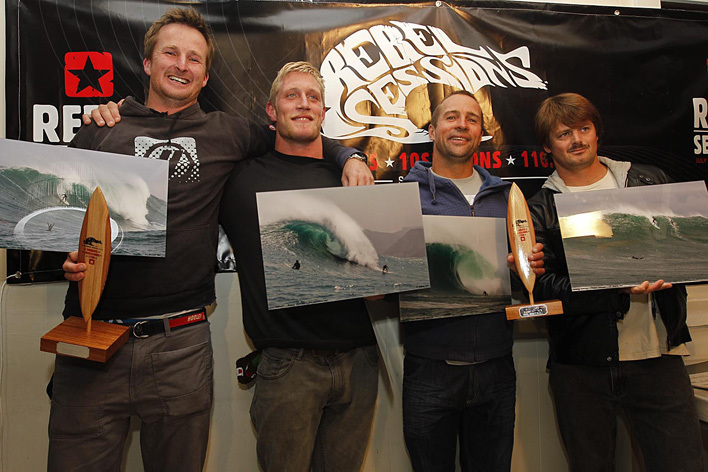 Rebel Sessions 2011 Big Wave awards winners (L-R) Best surfed paddle in wave Mike Schlebach (R50000), Sessions Surfers award, Josh Redman (R5000), Biggest Tow Surfed wave (R30000), Andy Marr (R30000) and Biggest paddle in wave, Jeremy Johnson (R20000) receive their awards at the prize giving in Hout Bay, South Africa 04 November 2011. The inaugural Rebel Sessions 2011 awards winners were announced at a packed invite only ceremony held at La Cabane restaurant in Hout Bay on Friday night. 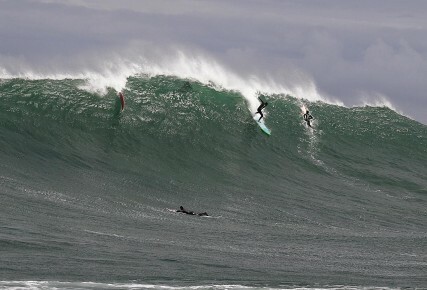 The four award wining big wave surfers each pocketed a share of R110 000 in prize money for waves ridden at the Capes premier big wave venues this winter. The Rebel Sessions is a unique big wave surfing awards event that ran for the first time this year from 15th July to the 22nd October. Over 100 days of winter the Rebel Session cameras filmed six sessions surfed with waves over 15 foot, the photographs and footage taken were used to judge the waves surfed and award prizes in four different categories. Christian Herles also awarded a surprise “Surfer of the Sessions” award with R5000 going to young Durbanite Josh Redman for the commitment and skill he displayed in the water. 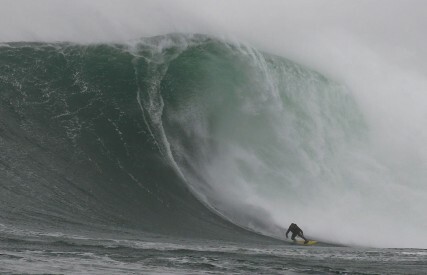 Josh based himself in Cape Town for much of the winter and his fearless assault on the Capes big waves showed that he’s a big wave talent to look out for in the future. Awarding the prizes Christian said that Rebel Media would be back with the event next year because Cape Town is "one of the few places in the world that has a real big wave community and thats why (Cape Town) deserves the event and thats why Rebel Media bought the event here.". The footage filmed will be edited into a documentary that will be distributed and aired worldwide by Rebel Media through their Rebel TV sports channel. 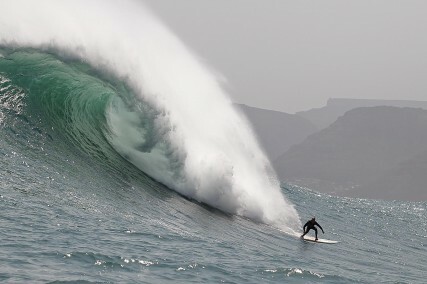 Josh Redman surfs a wave on his way to winning R5 000 for the the Season performance award of the inaugural Rebel Sessions held in Cape Town this winter. The prizes were awarded at an awards ceremony in Hout Bay on Friday 4th November. 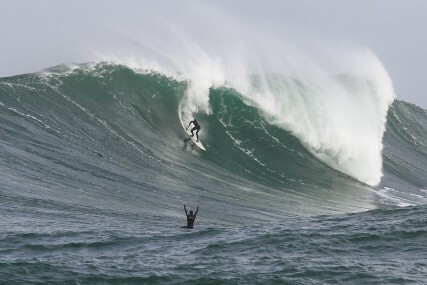 Kommetjie surfer Mike Schlebach rides an epic wave at Dungeons reef in Hout Bay on his way to winning R50 000 for the best surfed wave in the inaugural Rebel Sessions held in Cape Town this winter. The prizes were awarded at an awards ceremony in Hout Bay on Friday 4th November.